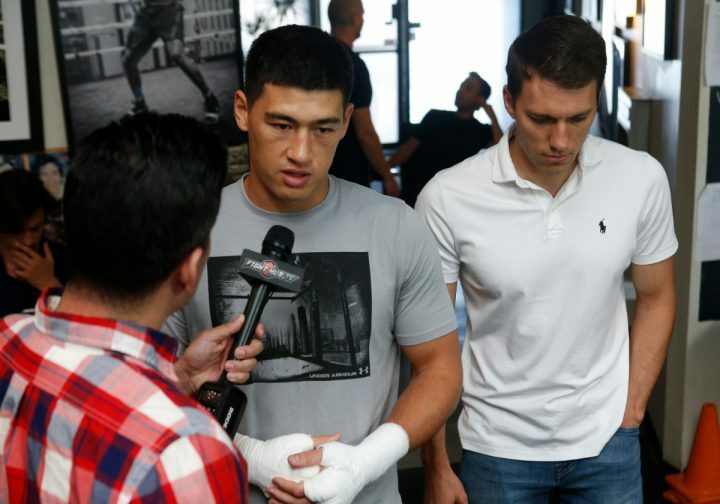 WBA Light Heavyweight World Champion Dmitry Bivol (14-0, 11 KOs) of Russia hosted a media workout at Churchill Boxing in Santa Monica, California on Tuesday, November 6 in preparation for his title defense against light heavyweight contender Jean Pascal (25-5-2, 10 KOs) of Montreal, Canada. Bivol and Pascal will fight in the main event at the Hard Rock Hotel & Casino Atlantic City on Saturday, November 24. The card featuring Bivol vs. Pascal will be televised live on HBO World Championship Boxing beginning at 10:00 p.m. ET/PT. Dmitry Bivol speaks with media at Churchill Boxing Tuesday. This event is promoted by Main Events and World of Boxing. The bout will be televised live on HBO World Championship Boxing beginning at 10:00 p.m. ET/PT. About Bivol-Pascal: Bivol vs. Pascal is a 12-round fight for Bivol’s WBA Light Heavyweight World Title taking place on Saturday, November 24, 2018 at the Hard Rock Hotel & Casino in Atlantic City, NJ. The co-main event is a WBA Intercontinental Super Bantamweight title fight between Murodjon Akhamadaliev and Isaac Zarate. The event is promoted by Main Events and World of Boxing, and will be televised live on HBO World Championship Boxing beginning at 10:00 p.m. ET/PT. Tickets range between $30 and $150 and are on sale now through HardRockHotelAtlanticCity.com and Ticketmaster.com.